Don’t leave your favourite coats and jackets in the wardrobe ever again! 3. 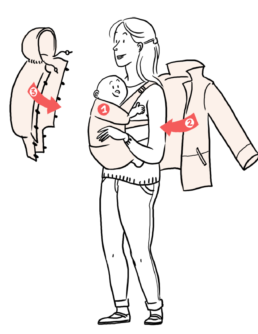 Close your coat by attaching the other side of the cocoon!